How To Recover Deleted Pictures? How To Recover Office Documents? Starus Office Recovery will recover deleted documents in a wide range of Microsoft Office and OpenOffice formats as well as Adobe PDF files. The tool can recover Microsoft Word files in RTF, DOC/DOCX formats, Excel XLS/XLSX spreadsheets, RTF, OpenOffice ODT, ODS, and ODP documents, Adobe PDF, and many other formats. Content-aware recovery allows reliably extracting documents from formatted, repartitioned and damaged storage devices formatted with any supported file system or having no file system at all. Step-by-step recovery and full pre-recovery preview are available. Recover digital pictures from digital cameras, memory cards, and PC hard drives with just a few clicks! Starus Photo Recovery can undelete pictures you deleted bypassing the Recycle Bin and restore photos from all types of memory cards and USB drives. It can even recover digital images directly from most compact and digital SLR cameras connected to a PC with a USB cord. All that takes just a few clicks in a fully guided, step-by-step wizard. 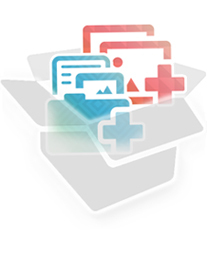 Instantly recover deleted files and folders from all kinds of storage media. 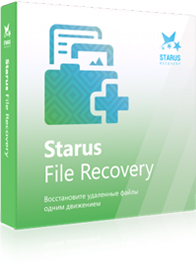 Starus File Recovery undeletes deleted files and recovers information lost after a disk accident. Supporting a variety of magnetic and solid-state storage devices, the new file recovery tool can quickly restore information from hard disks, SSD and USB drives, flash drives and memory cards with familiar, Explorer-like user interface. Starus NTFS Recovery is a perfect tool for recovering Windows disks and system partitions formatted with the NTFS file system. Supporting all versions and revisions of NTFS, Starus NTFS Recovery can recover files and folders from formatted, repartitioned and inaccessible hard drives. Step-by-step recovery, content-aware analysis and full pre-recovery preview are available. Starus FAT Recovery is a perfect tool to fix SD cards, USB flash drives and other media formatted with FAT, FAT32 or exFAT. Supporting 64 GB and 128 GB SDXC cards out of the box, Starus FAT Recovery is one of the few tools that are able to deal with Microsoft’s new extended version of FAT. The tool offers the same step-by-step recovery and pre-recovery preview as Starus other products, and delivers the best price-performance ratio on the market. Starus Word Recovery is a budget-conscious version of Starus Office Recovery. The tool will recover documents in Microsoft Word DOC/DOCX, RTF, OpenOffice ODT and Adobe PDF formats. Content-aware analysis enables surefooted recovery from formatted, repartitioned and inaccessible devices, while full pre-recovery preview allows viewing deleted documents before the recovery. Fully guided, step-by-step recovery wizard makes operation easy even for new users. 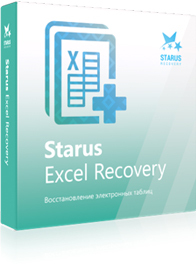 Starus Excel Recovery is a budget-conscious version of Starus Office Recovery. The tool will recover deleted spreadsheets created by Microsoft Excel and OpenOffice suites and saved in XPS, XLSX, or ODS formats. Powerful content-aware recovery reliably extracts spreadsheets from formatted, repartitioned and corrupted disks, while full pre-recovery preview enables viewing recoverable spreadsheets before undeleting. The tool comes with a step-by-step wizard to make recovery easy and straightforward for new and experienced users. Restore data of all types in a snap! Starus Data Restore combines two data restoration products in one convenient package. A universal data recovery tool called File Recovery allows for fast, easy and intuitive recovery of all types of files, while Photo Recovery serves dedicated photographers in helping them recover lost pictures stored on damaged, formatted and inaccessible memory cards.